I usually enjoy photographing the good in Downey, but today as I was in the Ralph's grocery store parking lot looking for a place to park, I saw that almost every space near the doors was occupied. Except for this one. 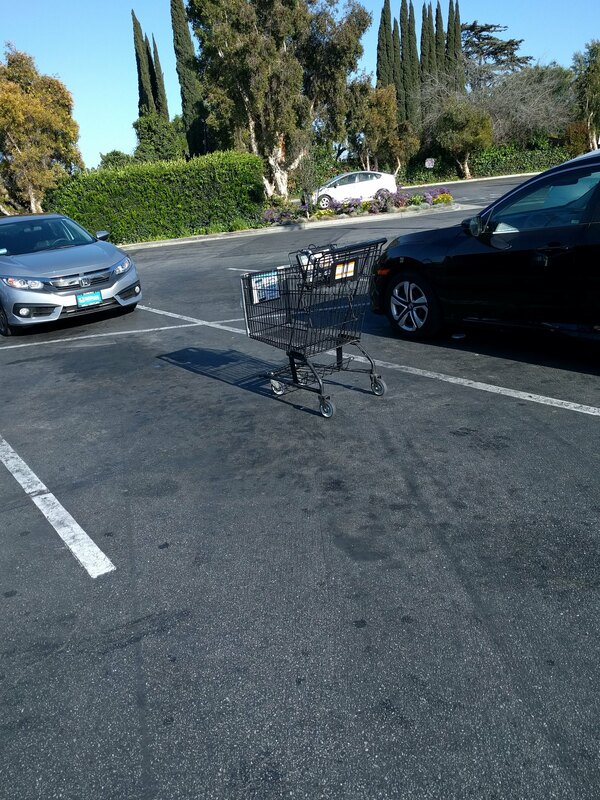 Someone decided that the 30 seconds it would take them to take this cart to the cart bin was too much for them. Either they didn't have the energy or they couldn't afford to get to the next place 30 seconds later. And it wasn't just me. While I was taking this picture, three other cars drove by and couldn't park here but had to park further out. Oh well, I did find a spot to park and I got my groceries. All is fine now.